We believe fresh is best. Like all fresh foodstuffs, coffee is a natural product. It needs to be taken care of in the right way if it is to bring you the great pleasure it is capable of.We aim to bring you our coffee as fresh as possible – having chosen only beans from the most recent harvest from the best coffee growing regions of the world, we ensure our beans are roasted with love and packed immediately into our special bags that keep the oxygen out but allows the natural gases produced by the beans to slowly escape. So our flavours are locked in…naturally. Did you know that the humble coffee bean is actually the seed of a red fruit which flowers usually once but, in some regions of the world, twice a year. Only when the red cherries are at the ripest they are harvested – usually by hand – from the trees high upon the mountain where they are grown. Once the cherries are brought back to the farm station, they are stripped of the fleshy fruit exterior and then washed in water channels to remove any excess material. The beans are then dried either naturally in the sun or a huge mechanical dryers. This depends again generally on the different regions of the world. The dried beans are now sorted by size and bagged ready for shipment. 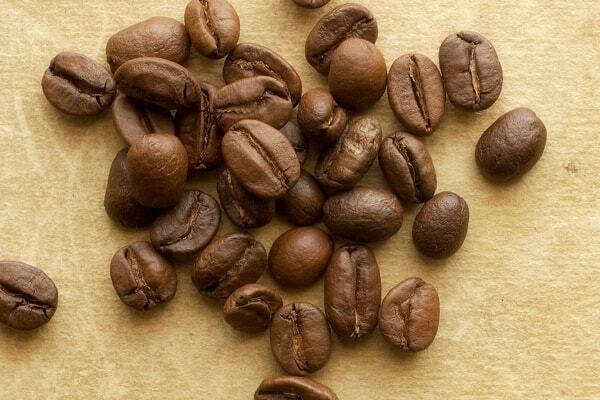 We only choose the best Arabic beans – these are the best and the tastiest beans. They are grown higher up above sea level, usually on steep mountainsides where they are subject to different climate, soil and sun conditions, all of which generates better nutrients for the coffee tree and more complex flavours in the beans. It’s very similar to wine! 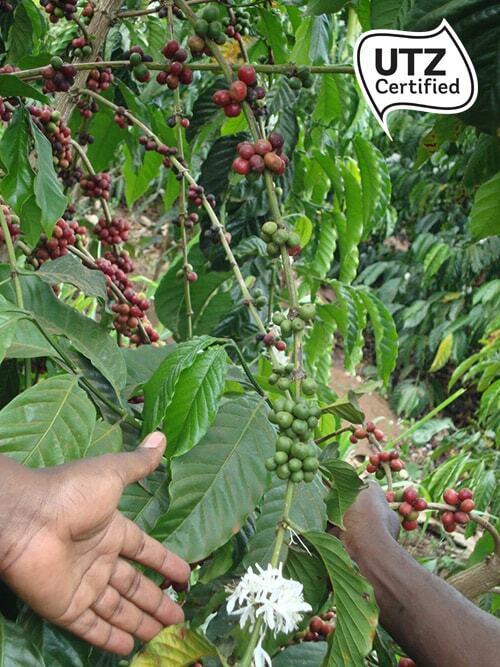 We also like to use UTZ Certified beans – these are beans grown by farmers who have been given help to improve their processes for planting, picking and preparing their coffee beans; and have been helped to understand how to improve all aspects of quality so that they can charge a higher price in the market for their beans. We think the role of UTZ in improving self sufficiency is a good one and we are proud to support it by buying beans from UTZ Certified farmers – it is our contribution to continuous improvement in quality and fairness. We roast our coffees regularly in the Netherlands in smaller batches and try to get them to you as soon as is humanly possible. We even put the roasting date on our bags of beans. And we are the only one to do so. Why? Well it has its risks of course to put both the production or “roasting” date on our beans bags as well as the expiry date. We think this is transparent and a fairer reflection of the quality of the coffee you are buying from us. 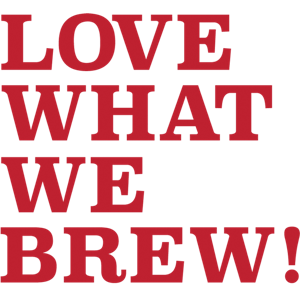 Our coffee will of course be perfectly tasty to drink a few months after roasting but we want to show you what we do and get our coffee into your cup as soon after roasting as possible. Oxygen is the ‘killer of fresh tasting coffees’ so we package our beans and capsules in air-tight environments to stop the oxygen getting to them. We lock in flavour and keep it there waiting just for you. How to protect your coffee? Don’t believe some of the myths! 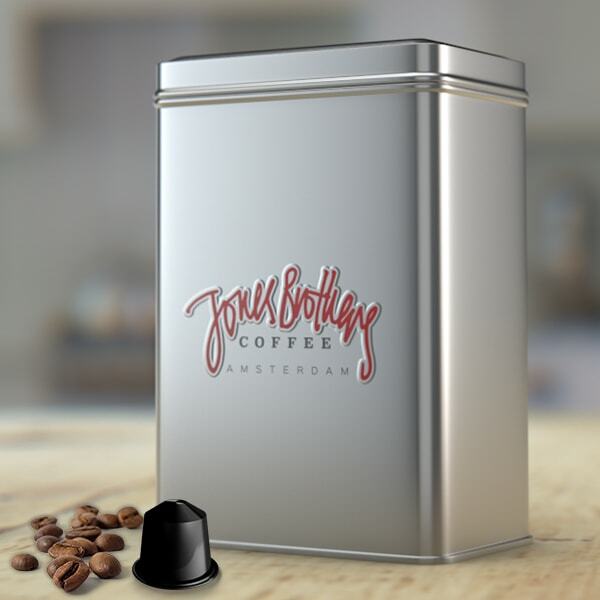 At home or in your office, when you open your bag of Jones Brothers Coffee beans or your box of our special capsules, try to keep the coffee in air-tight containers – no need for the fridge or freezer, just air-tight. That’s the best way. If you are grinding for a filter coffee, only grind the beans that you need right then – don’t store ground coffee if possible as it loses its flavour the quickest this way – always grind and drink! Read more about freshness and storage here.